Stories and memories seem to rise up from just about everyone I have met so far in this adventure, from memories of a long past 25cent theatre in Roxy’s space with a penny arcade and pool hall below where Gallery XII & Tessera’s now resides, to The Looking Glass with sound studio above (Big Dog Sound Studios) with Roxy's Downtown cocktail club hosting such rising stars as Harry Connick Jr., to sitting empty for several years with dormant potential until Cabaret Oldtown came into existence in 1992. 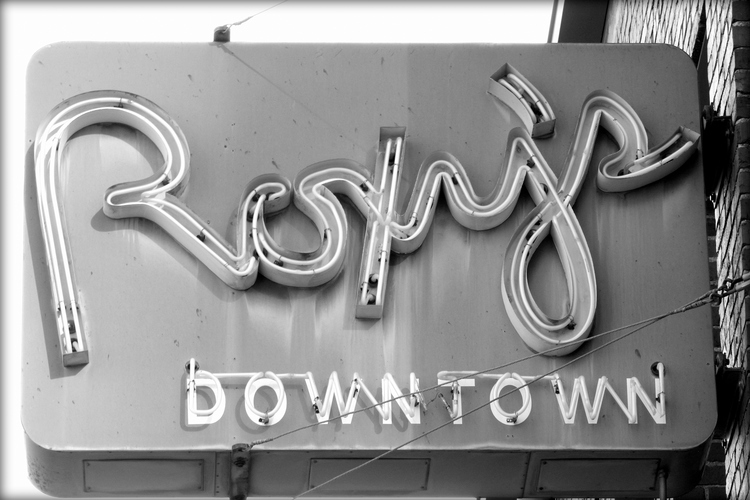 Cabaret Oldtown bloomed for 22 wonderful and beloved years before Roxy's took up the torch. The idea came upon the early morning reading of The Eagle news in 2014. Cabaret Oldtown had announced its intent to possibly sell the business and after a whirlwind of creative activity Roxy’s Downtown became a breathing new entity. Roxy’s is very fortunate to have such a great team! And, we come to work every day with you on our mind. Your enjoyment, laughter, curiosity, and drive to learn is our morning caffeine and our evening dessert. The plan from the beginning was to work from the floor up on refurbishing the historic venue to a new standard of comfort and a romantic, if slightly nostalgic, cabaret atmosphere. Our goal is really very simple- to be the best we can be at bringing to Wichita provocative, innovative, and crowd-pleasing entertainment and educational programming and to remain Wichita’s favorite live theatre!